For 24 years, Andrej has worked in the fields of music, film and television industries, and collaborations with well known GLOBALLY recognized artists being Musicians, Directors, Actors, writers, Choreographers, Dancers, Designers, Photographers and industry professionals. Andrej Acin has developed and improved an extremely strong and unique skill set ready to share with students. As a television director and producer he has been working on 14 high budget productions, including 85 episodes of the “Jelena” a TV series in which he had the privilege to lead a cast and crew of over 200 members as the main director, and was nominated for the Best International Director at DISCOP World Television Festival in 2005. Over the past 14 years he has written, directed and produced ten films: two feature films (both in production), one medium length and seven short films. He was awarded Best Director nine times at film festivals in both Europe and America, including Special Jury Gold Award Winner for his short fiction film “THE MARGIN” at Worldfest, Houston, USA. His films participated in the official selection of a number of film festivals around the world: Clermont Ferrand, Paris, Poitiers (France), London (UK), Berlin (Germany), Rome, Milano, Bologna (Italy), Bilbao, Valencia (Spain), Thessaloniki (Greece), Moscow (Russia), Melbourne (Australia), Houston, Los Angeles (USA). He has also worked in theatre, having produced and directed four theatrical productions: Intimus, Echoes of Silence, Peep Sorrow and Glory Hole from 1997 to 2004, which toured Europe and played in the most important theatre festivals: Berlin (Germany), London (UK), Paris (France), Rome (Italy). As a film composer, his work has been included in six feature films screened at the International Film Festival worldwide and dozens of short films, and has been awarded three times for the Best Feature Film Original Film Music (1995,1998 and 2002) including the Composer of the year Award. Ms. Collins studied acting at Circle-in-the-Square Theatre School in New York City. She has performed at a wide variety of theatres across Canada and the United States. 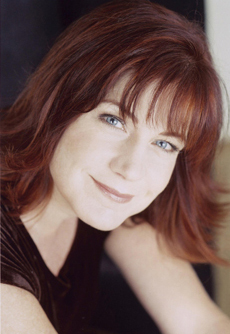 Christina Collins is an actress, known for Truth in Advertising (2001), Extreme Measures(1996) and The Marriage Fool (1998). She has more than 45 credits to her name. Some of her theatre highlights include: Kate in Taming of the Shrew, Helena in A Midsummer Night’s Dream, Charlotte in Night of the Iguana, Margherita in We Won’t Pay! We Won’t Pay!, Libby in I Ought to Be in Pictures, and the lead role of Darlene in Balm in Gilead. Ms. Collins also has numerous films and television credits to her name. Some highlights include principal roles in: Dead Ringers, Glory, Glory, E.N.G., Women in Prison, Between Love and Honor, Holiday Affair, Deep Water Black, Extreme Measures, Thanks to a Grateful Nation, Reversible Errors and the lead role in the film, The Dinner Party. In addition, she has appeared as a recurring cast member on the BBC/Disney produced series, I WAS A SIXTH GRADE ALIEN. She has also appeared on many Canadian Television series such as; DOC, KEVIN HILL, BLUE MURDER, THIS IS WONDERLAND, REGENESIS and DEGRASSI, SECOND GENERATION to name a few. As well as her acting work, . 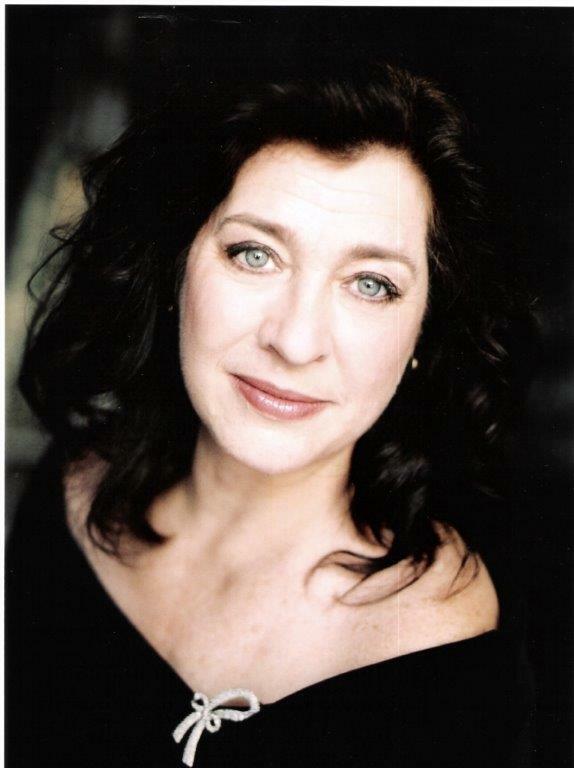 Ms. Collins has been delighted to be among the teaching staff for the Film and Television Program at Humber College in Toronto and is now part of the teaching staff at the Toronto Academy of Acting for Film & Television . She also freelances as a director, and frequently directs commercial auditions at Jigsaw Casting, Power House Casting, Gloria Mann, Brian Levy and Fade to Black. 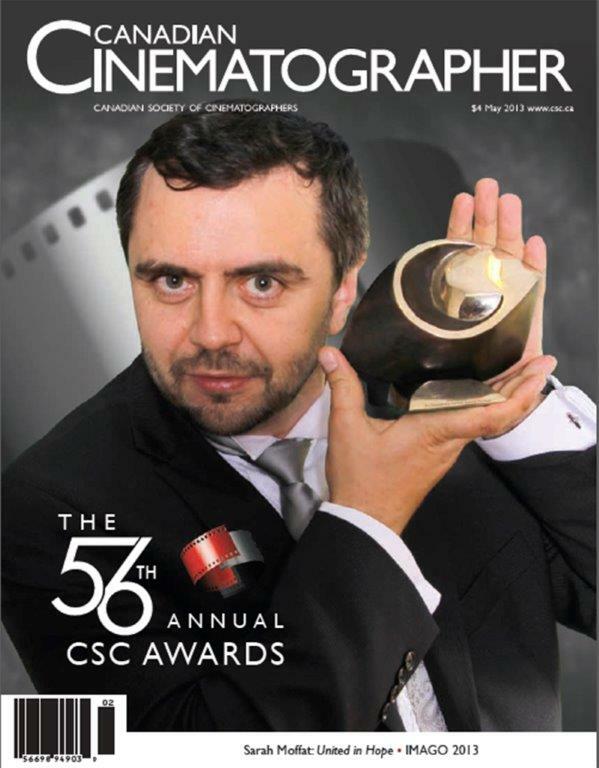 Vladimir Bondarenko is a Gemini – nominated, award – winning documentary film maker. His theatre background includes performing support and leading roles at the Stratford Shakespearean Festival, Theatre London and Theatre Aquarius. 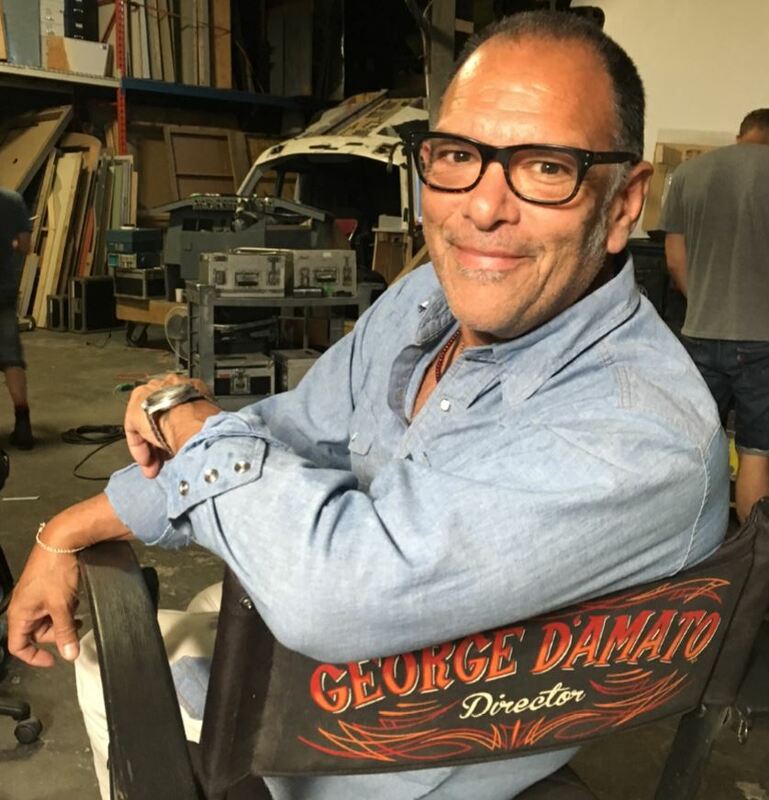 Television credits are highlighted by appearances in the Emmy award – winning “F.D.R.’s Last Year”; “Night Heat”, “Street Legal” and “Due South”. Vladimir’s movie credits include principal roles in the acclaimed docudrama “Catching the Chameleon”, the Sci – fi horror thriller “Kaw”, the soon to be released theatrical feature film “Small Town Murder Songs” and the theatrical short “Walking Wooly”. His internationally acclaimed documentary films include “Speaking of Courage” and “Voices to Remember”, which tell the stories of children and adults who live with a stutter and “Vigil of Hope”. Vladimir helps youth and adults, focusing on overcoming public speaking fears, improving spoken English and vocabulary, developing confidence, liberating spontaneity and imagination, releasing creativity, humour and hidden passion through the powerful arts of storytelling, role playing and improvisation. A multiple Genie, Gemini, and Dora Award-winning actress in the classic Canadian films I’ve Heard the Mermaids Singing and The Lotus Eaters, McCarthy has appeared in films such as Die Hard 2, Being Julia, Confessions of a Teenage Drama Queen, The Day After Tomorrow, and Sook-Yin Lee’s Year of the Carnivore. Most recently McCarthy can be seen starring in the feature film Antiviral, the directorial debut of film scion Brandon Cronenberg. She also just finished starring in Murdoch Mysteries for CBC and two independent films called Public Service and Algonquin both to be released next year. She is about to start shooting ICE GIRLS, a feature film with Damian Lee. She has a television half hour in development called DEPARTURE LOUNGE with EONE and CBC. A professional performer since childhood, over the years her involvement in theatre has included singing, dancing, acting, writing, directing, composing and recording. Acting credits include: “Louise” (principal) in feature film “Lemon Crackers”(currently post-production), “Miss Tick” in Murder on Sunset Boulevard for Mysteriously Yours Dinner Theatre, “Crazy Annie” in Spaces for 4-Letter Productions, “Tardy” in Elizabeth Rex for Brampton Theatre , “Gail” recurring character in Smart Woman’s Survival Guide on Wnetwork, “Ma Ubu” in Ubu Roi for Rhoma Spencer, “Agrafena” in Bankrupt for Max Hancock. The Actors Studio – N.Y.
David Huband was a member of The Second City Mainstage Company, from 1983-1985, appearing in two revues. He later became a member of the comedy troupe, Illustrated Men in 1985 and performed with them for 21 years. During his time with the troupe he appeared as Estragon in Illustrated Men’s acclaimed production of Waiting For Godot. He has performed at regional theatres across Canada, such as The Manitoba Theatre Centre, Prairie Theatre Exchange, Theatre New Brunswick, The Arbor Theatre, and The Stratford Festival, where he played Demetrius in A Midsummer Night’s Dream. Mr. Huband can currently be seen on The Rick Mercer Report where he has a semiregular role, and on Murdoch Mysteries, in another semi-recurring role as “The Mayor of Toronto”. 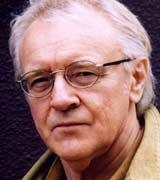 Some of his television credits include The Strain, Republic of Doyle, Insecurity, Little Mosque on the Prairie, Traders, and Flashpoint, as well as the television movies The Wild Girl, Dirty Pictures, Ultimate Deception, Holiday Affair, Lessons In Love, and The Jesse Ventura Story. Mr. Huband had a principal role in the acclaimed BBC mini-series, The State Within. Mr. Huband was a series regular on The Red Green Show, and on CBC’s The Newsroom, and has also appeared in Ken Finkleman’s Foolish Heart, and in Mr. Finkleman’s Foreign Objects, as well as a lead role in the television movie, Escape From the Newsroom. 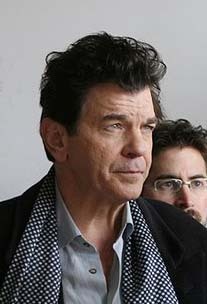 He has also appeared in a number of feature films including, Police Academy 3, Tommy Boy, The Lookout, Breach, The Ladies Man, Wrong Turn, Cube Zero, The Diamond Fleece, That Same Old Feeling, directed by Carl Reiner, Cinderella Man, starring Russell Crowe, and the thriller Dream House, with Daniel Craig. Mr. Huband can be seen in the web series, Getting Down, on funnyordie.com, which he also wrote. Russell studied communications and decided to seriously take up an acting career. From there he auditioned and got accepted in a summer program which was being offered by The University of Toronto in conjunction with Theatre Ontario. Following the end of that program he went to Los Angeles for one year and did some private studying and theatre performance. After returning to Toronto, Russell spent three years at a private acting studio where he was mentored in classical studies varying from Italian, Comedia, Comedy Francais, British Farce and drama. After a short period of performing, he again returned to his studies at Second City. Russell’s career has allowed him to work with varying directing and acting industry majors such as James Cameron, Paul W.S. Anderson, Peter Deluise, Sturla Gunnarsen, Mario Azzopardi, Jason Statham, Rick Moranis, Richard Dean Anderson, Henry Winkler and many more. 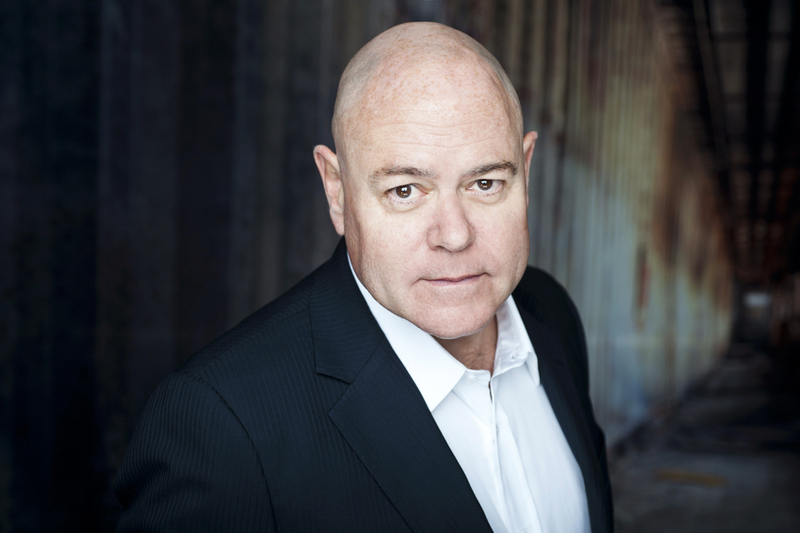 Russell now makes Toronto his home and has appeared in over thirty – five lead and large principal roles for union film & television projects and has filmed over fifty national commercials. 11 years in the business, Pasha Patriki’s expansive body of work includes over a dozen of dramatic feature films and numerous feature documentaries. He’s also framed up more than 50 shorts and countless music videos and commercial spots. Films composed in Pasha’s lens have screened internationally and won awards in the United States and Canada. His most recent “Best Cinematography” awards come from the NYC Independent Short Film Festival, the Wildsound Film Festival, and a nomination at the Schweitzer Lakedance Film Festival. Music video for a popular band “Down With Webster” has been nominated for Best Pop Video of The Year at Canada’s Much Music Video Awards. Starting by shooting on film 11 years ago, today Pasha continues to upgrade his skills with ever – changing technology. Proud owner and contributor of the latest industry’s technological advances, Pasha’s skills are shown with most recent cutting edge filmmaking tools and digital technology. Is an Award Winning Filmmaker who writes, produces, directs and edits his films, he has been reborn as a Digital Cinema evangelist shooting all his projects on his 4K RED camera, and on the newest generation 5K Epic that is said to rival 65mm film in resolution. Ian is the CEO of the Production and Post production company and has co produced the Award winning feature film “Anchor Baby” Ian’s body of work includes Drama, Documentary, Commercials, and Music Videos shot on 16mm and 35mm film, Tape and now RED. He has won the Canadian Reggae music award for best video and has been nominated for a Juno. Milica Zec is an Editor and Director working in Film, Television, installation, music video, and art video. As an editor, her first documentary feature film, “Fire Under the Snow”,premiered at the Tribeca Film Festival; her first narrative feature film, “Zenith”, has garnered a global following. Her television work includes the PBS series “Spain … on the Road Again” featuring Gwyneth Paltrow, and “Women, War and Peace”, as well as various consulting projects for American and European networks. For the past several years, she’s been working with the performance artist Marina Abramovic on numerous projects, including “The Artist is Present” exhibition, as well as a new, six – channel video installation for an exhibition at the Moscow Garage Museum. As a director, this past year bore the completion of a music video for Antony and the Johnsons’ “Christina’s Farm”, and a short film featuring Marina Abramovic, which was screened at the Venice Art Biennale 2011. Milica grew up in Belgrade, Serbia where she studied film at the College of Dramatic Arts. She currently lives in New York. Ricardo discovered the love for being behind the camera while starting out in the business as an extra on set. Ricardo is known for his talent for lighting and for his quiet and professional demeanour on set. To date he has captured magic through the lens through obtaining over 60 credits for Dramas, 46 Documentaries 18 commercials some to name are “Speaking of Courage” and many more. He has also shot over 150 music videos. Fast forward to his experience in Film School. Like most young aspiring film makers, he wanted to shoot music videos. He graduated with high expectations. As with most professions, he had to start somewhere so he began to work as an equipment manager with a large well known production house. His experience only fuelled the fire further to succeed! Ricardo and some friends started a production house of their own. He gained valuable experience is every aspect of production. Today, he volunteers his time and energy to helping aspiring film makers. Ricardo specializes in feature films, documentaries, lifestyle T.V., commercials and music videos. He is an expert in all formats. His talents have not gone unnoticed; on the contrary, Ricardo has been recognized in the industry and has many awards under his belt such as A Silver Chris for the movie “The Matrix Reloaded”, A Gold special Jury Award for “Harry Potter and the Chamber of Secrets”, A Gemini Award for Exhibit A for best photography.